Boyfriends & Girlfriends explains the dos and don'ts of dating for teens and adults with disabilities and validates their normal, age-appropriate desire for companionship and romance. Written and illustrated for a hi/lo reader, Boyfriends & Girlfriends is perfect for anyone who is already in a relationship, ready to start one, or still only dreaming about it. The guide is also an informative read for parents, counselors, and other support providers. 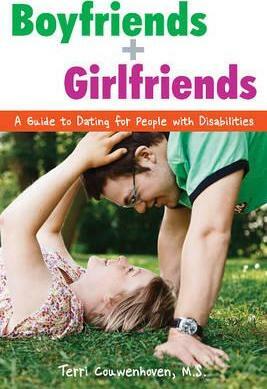 "This is a good book for someone like me who is looking for a relationship with a person who has a disability. It gives you guidelines on how to start a conversation and break the ice, and find a boyfriend or girlfriend." -- Sarah, a young woman with Down syndrome "Publisher"